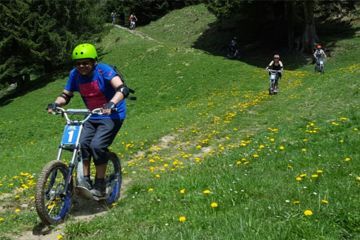 Come and enjoy incredible descents on all-terrain downhill scooters in Valais, Switzerland. The team at Trott en Stock welcomes you to Champéry in the Portes du Soleil mountain resort. 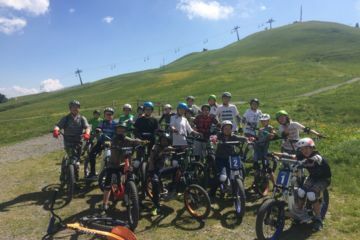 As a family or among friends, discover a number of descent routes on a downhill scooter, also known as a ‘trottin’herbe’, with differing difficulty levels for a leisurely activity or for a more challenging experience. This fun, accessible activity allows you to enjoy Swiss mountain landscapes and admire the Dents du Midi panorama. 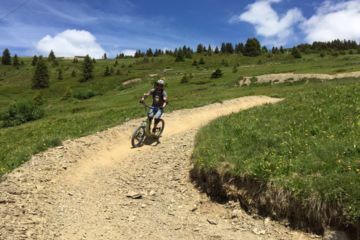 We also offer group descents, for stag/hen parties, school trips and holiday camps, as well as for companies as a teambuilding activity during your meetings in Champéry. Find TROTT EN STOCK on LOISIRS.CH and PASSEPORT VALAISAN.